Home > News > News > SATISFACTION – It’s a Gas, Gas, Gas! SATISFACTION – It’s a Gas, Gas, Gas! If you love the gritty, hard-driving rock and pure showmanship of The Rolling Stones, then treat yourself to a Stones tribute show that will blow you away! 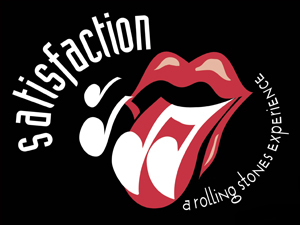 Coming to burn up the AMT stage on February 4, it’s Satisfaction – A Rolling Stones Experience, playing all the Stones hits you know and love! This amazing tribute show has been in production and touring since 2001, and is the only full time touring show of its kind! “Let’s Spend the Night Together,” with Satisfaction – A Rolling Stones Experience, the greatest show ever honoring the Rolling Stones and their legacy!